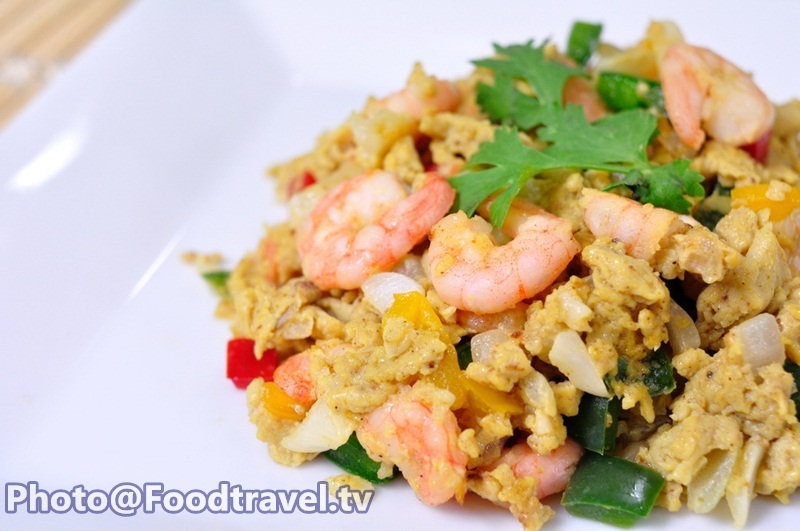 Stir Prawns with Curry Powder (Goong Phad Phong Ga Rhee) - This menu is regular menu for shrimp’s lover. You can find this menu at many restaurant. You may choose to use crab for this menu too. Just change from shrimp to crab. It’s not hard to make it and not take a time too. 1. Add vegetable oil slightly. Fry garlic, chopped onion. 2. Add cooked shrimp and stir until cooked. 3. 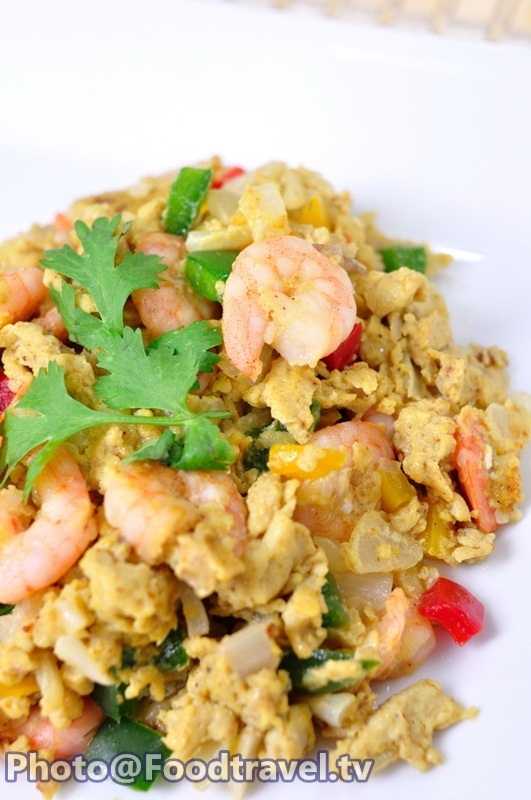 Add evaporated milk, oyster sauce, soy sauce, sugar, curry powder and pepper into the eggs. Beat all ingredients well. 4. Back into the pan, make sure that the mixture does not burn. Then spread the mixture evenly, pour egg down. Use high heat wait until egg cooked. Then scrape like a scrambled eggs. Serve and ready to eat.